It’s hard to hit low when it comes to animated movies. For every Norm of the North there’s Finding Dory, there’s Kung Fu Panda 3, there’s Zootopia. For every Top Cat Begins, there’s Moana, there’s Kubo and the Two Strings – I could go on. Truth be told, animated movies rarely receive flack unless they do a combination of things. It’s only a select few pictures – ones which are poorly-written, transparently cynical or simply missing the audience mark altogether – which get to languish at the Norm-shaped bottom of the barrel. When The Emoji Movie was first announced, it was met with a mix of emotion – see what I did there? Only – much of it was concern, and much of it was derision. Odd decisions made by the likes of Sir Patrick Stewart to voice an anthropomorphised poop emoji underlined what many worried would be a fairly cynical summer cash-grab. There was hope – at least – that it might not turn out quite the way the marketing for the film suggested it would. However, with the movie currently crashing and burning with Metacritic and Rotten Tomatoes scores below 10 – at the time of writing – it’s safe to say that this may not have been Sony’s best move. It’s thought that a Popeye relaunch – helmed by Genndy Tartakovsky, the brains behind Cartoon Network hits such as Dexter’s Laboratory and Samurai Jack, as well as the brilliant Hotel Transylvania series – may have been canned in favour of shipping out The Emoji Movie. Are lessons about to be learned? Let’s have a quick look at the plot, in any case. Set inside the world of a young boy’s smartphone, we are given a glimpse at the inner workings of apps and emoji as if they were living, breathing entities and communities – and one such emoji, Gene, is a ‘meh’ – only, he feels he has emotions to spare, and thus seeks to ‘fix’ himself and become ‘normal’. With the help of two friends he meets up with along the way, Gene finds himself fighting to save the future of app-kind – and in the meantime, can Alex pick the right emoji to send to his crush? All big questions – all answered. The movie, firstly, is going to face comparisons with Disney’s Wreck-It Ralph and Pixar’s Inside Out, and rightly so. The idea of seeing what certain items, or toys, or creatures do when we’re not around has been a staple for a long time – it’s safe to say you can go further back than Toy Story or even The Brave Little Toaster to find the origins of this trope. In The Emoji Movie, however – it doesn’t feel so original. It doesn’t feel as if it is a concept that has been given much in the way of organic thought. This, my friends, is largely thanks to the fact that the movie is advertising heaven – with brands such as Dropbox and Just Dance proving to offer major plot points in the movie. With movies such as Toy Story and Wreck-It Ralph, we were given just enough of our real world for it to offer a satisfying impact – but here, it is flat-out advertising – and that is largely the reason why so many people have decried the movie – particularly in that it is aimed at children. The marketing issue isn’t the only problem the movie has by a long chalk. It suffers from plot-borrowing and endless reams of tropes that have been poorly used and done to death elsewhere, passable animation that may have been cutting edge five years ago, and this strange, cynical, pervasive feeling that you’re essentially watching the result of a board meeting instead of an animation team who genuinely loves their craft. Director and writer Tony Leondis is said to have been behind this idea for a long time – and he’s done fantastic work with the likes of Igor and Lilo and Stitch 2 – which makes his passion for this project all the more jarring. There really is little to say about The Emoji Movie that requires saying. While it may be colourful, have songs and plenty of jokes that kids might find appealing, it is shockingly pandering in the worst possible way – really misfiring, too, on what genuinely appeals to young people in 2017. Do kids really care about what those symbols get up to? Maybe not – and at the same time, these little symbols are given a bizarre exaltation throughout the runtime as if they are the future of modern language – I am no expert on lexicography – but it all rather builds up to a nice little headache I’m sure you could do without. 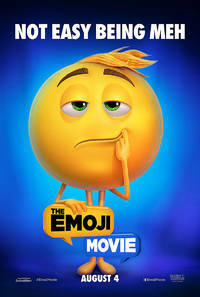 Keeping it short – 800+ words in – The Emoji Movie is transparent and, in many ways, joyless – it follows so many tropes, it pushes so many products and offers so little in the way of genuine magic or intrigue that it occasionally beggars belief. At least Norm of The North wasn’t in-your-face for the entire runtime. At least Top Cat Begins tried to create some joy, and actually had a few bright spots. The Emoji Movie is an extended commercial – cynically made, and, bizarrely, transparently executed. Parents be warned – go take your kids to Captain Underpants instead – for the sake of your sanities. 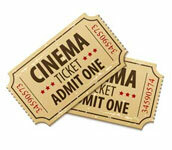 Family films should at least try and do something new – and if you’re going to pander to kids, give them a little credit – and if not, provide ibuprofen free with every parental ticket. The Emoji Movie is 💩.